Thread: Ideas for a boys quilt. 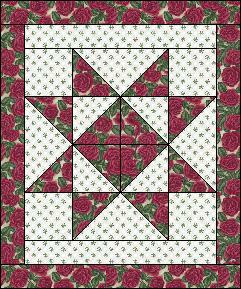 I am looking for ideas to make a wall quilt for my eight year old grandson. 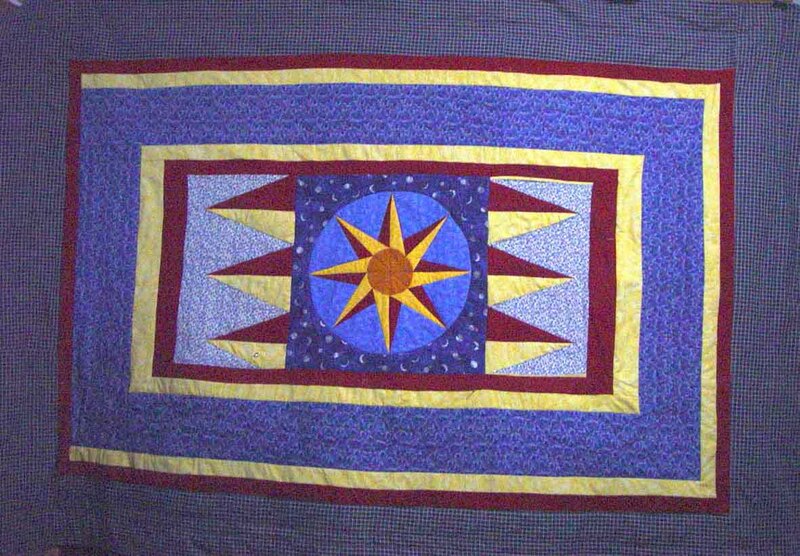 I'd appreciate photos of others quilts and ideas. Here is an airplane that would be fun. Scroll down for pattern. How about some version of an I Spy featuring his favorite things? A "Jar Quilt" with bugs, marbles, candy etc. 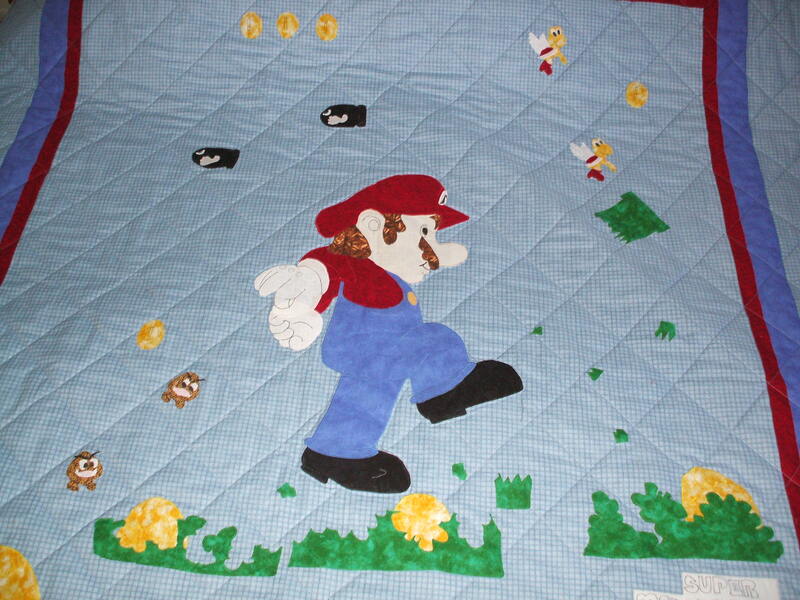 I made a bed quilt for my great nephew with this idea. He loves it. 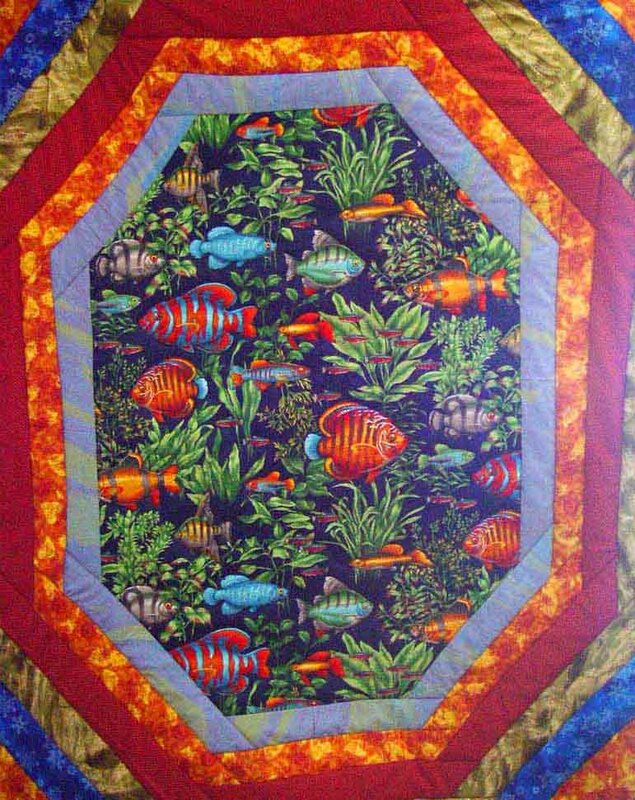 Search Bug Jar Quilts and you'll see many examples. I think Monroe has a wonderful idea. After all it doesn't matter how great the pattern or subject of the design is, if it's not what he is into. Is it a surprise? If not have a few easy conversations that lead into things that interest him. With boys his age a list of questions doesn't really work to produce the information you need to make good fabric selections. Even going online with him and visiting one of the big fabric sites might help. Does he like animals? The Bigfork Bay Cotton Company has wonderful animal wall hangings like bear, wolf, moose giraffe, zebra and others. When my guys were that age anything sports related would have been just the thing. DGS is that age and anything related to Nascar is his current thing. Prior to this it has been construction equipment, Pokemon, Cars/Cars2, Toy Story, anything yellow (during the construction equipment era), changes fairly quickly with him. Oh he also really likes penguins right now too. So I will second the advice to find out what he likes, both subject and color(s). That can make a big difference to kids that age. . .more so than with younger or older a lot of times. I think he's a bit old for I spy. I would go with something that he likes. Theres alot of trademark panels out there of disney cartoons or marvel comics, nascar, and tons of sports themes. My sewing group just made a jar quilt and it was so much fun! We made it for a older woman that we have grown to love and so we filled the jars with things she loves! But you could do it in any colors and fill it with boy things, that would be great fun! I have put this on my quilt to do list...it is getting longer and longer, LOL. My 9 year old nephew loves to fish. So I bought a fishing panel and just bordered it a number of times, so that it is about 70 inches square. I haven't quilted it yet, but he loves it, and it's grown up enough that he can love it forever. How do I know he loves it? He wrapped himself in it and twirled around the room in it for a few minutes! Cars are a good choice, too! Agreed! 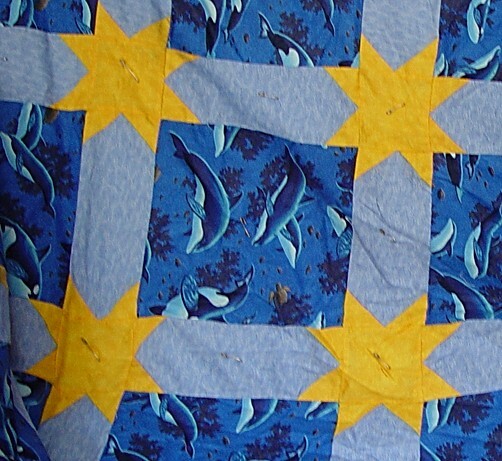 Panels are a great way to start a quilt. Also, you can go online and show him panels, and get an idea of what he likes. Look up snowball in the search here. A few days ago it was posted. It's sparking gems from a 2011 magazine. I asked because I thought it would be perfect for a boy it looks like basketballs bouncing all over. I'm going to do it scappy with boys novelty fabrics but check it out. It's not so much a matter of pattern as a matter of fabrics. I agree about using one of the fine panels that are out today as a center. Here are a few I have done. I make both bed sized and drag around quilts for this age, so I included both types. Bug jar quilt would be so cool in a boys room.